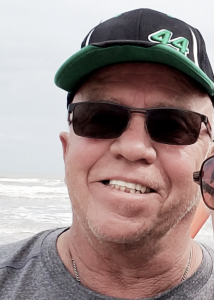 Steve Douglas Jones, 58 of Page, AZ, passed away peacefully at his home on July 12, 2018. Steve was born on April 5, 1960 in Los Angeles, CA to parents Gene Virgil Jones & Regina Anne Hicks. Steve was preceded in death by his parents and Brother Kevin Gene Jones (deceased 1995) Steve is survived by his half-sister Diane Jones Campbell of Elk Grove, CA, Nieces Jennifer Campbell Backus of Elk Grove and Arianne Campbell Pinkham of Cleveland Missouri. Steve has been a resident of Page since the spring of 89 where he started his Food and Beverage career here in Page at Kens Old West. Steve never married or had children, but he had an abundance of lifelong friends around the country. Steve graduated from USC with Business Management Degree and was a lifelong Trojan fan. Steve was member of the Benevolent and Protective Order of the Elks. Page Elks Lodge #2498 for 21 yrs. Where he was Hoop Shoot Chairman for many years and held several offices within the organization. He volunteered many hours to the Elks Lodge through the years which included many years of helping cook wings on Tuesday night and Friday night dinners. Steve loved to travel, golf, cook, bowl, camp, go quad riding; he was a true USC Trojan and Arizona Cardinals fan and most of all he enjoyed just hanging out with his friends. There will be a Memorial Service for Steve on July 28th at 2:00PM at the Page Elks Lodge (806 Aqua). Pot-luck to follow at the Lodge. Harvey Conley died peacefully in his sleep at home on March 31, 2018. Harvey was born and raised in Flagstaff. He attended Flagstaff High School and from there joined the United States Air Force, during which time he served as an MP from 1956 to 1960 in such diverse locations as Alaska and Yuma, AZ. During his long career in Page, Harvey drove a bus for the Page Unified School District, went on to work for the Page Park Service and later at the Page Post Office. 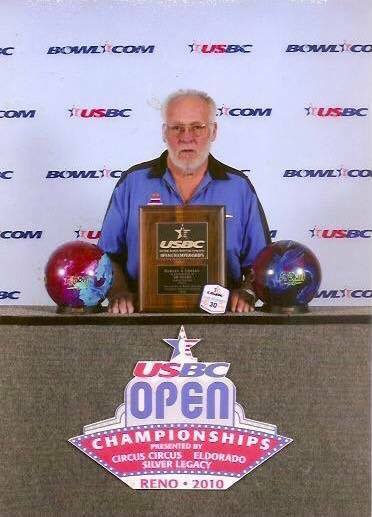 He was an avid, long-time bowler and could usually be found at The Bowl. He’s a former Elk and a longtime patron of Glen Canyon Steakhouse and the Ranch House Grille. He loved to go fishing on the lake and could often be seen sitting outside his house, smoking a cigar and watching the world go by. His wife Agnes, his father Walt and mother Edith Conley of Sedona, Ariz, preceded Harvey in death. He is survived by sons Jim (Cathy) Conley, Tim (Carolyn) Conley, daughter Cathy Conley Steffen; sisters Carol Gill, Mary Frederickson, Barbara (John) Olson; grandchildren Joshua (Tasha) Conley, Christopher Conley, Angela (James) Wilson, and Allison Conley. His great-grandchildren include Trystan, Mayson, Savannah, Jeremyah Conley and Katie Lou Wilson and step-great grandchild Elliette McDowell. A Celebration of Life party will be on June 16, 2018, at his home in Page. Richard Taylor Hickman passed away on February 13, 2018 in the Flagstaff Medical Center. Richard was born on September 10, 1960 in Burbank, California to parents Raymond Dee and Patricia Lula Hickman (Bailey). He grew up in Page, Arizona where he attended Page High School. Some of Richard’s best times were when he volunteered as an assistant coach for the 1974 Little League champs, the Tigers, and when he worked as a chef in various Page restaurants. Richard was kind and friendly, and usually entered the room with a good joke to share. He will be remembered for his cheerful laugh and unique humor. Richard was predeceased by his parents. He is survived by siblings Michael Hickman (Mindy), Karen Bush (Sam), Laura DuPaix (Les), Grant Hickman (Anna), Merry McGuire (Patrick), and Melody Adams (Dan) and his many nieces and nephews. Some of the words used by his family to describe Richard are “gentle giant,” giving, and enthusiastic. Tom Raymond Owen was born on March 9th, 1957: the 4th child of Tom and Alice Owen. He grew up in Tucson, Arizona and attended Sunnyside High. On March 23rd, 1984 he married the love of his life: Trina Policy. They built a life together in quiet Church Wells, Utah. Tom was a skilled Jack of All Trades. He provided for his loved ones working for places like Easy Street, Kocjan Enterprises, and Page Steel. Working for Salt River Project, he got the training for a career as a Superintendent Millwright at Zachry Construction (San Antonio, Texas). 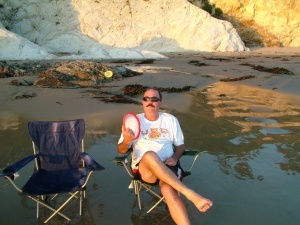 Tom was an avid outdoorsman who loved camping, barbecues, and beer. He was a loyal friend with a reputation of going out of his way to help someone in trouble. A generous neighbor with a strong sense of community. Above all, Tom Owen was a family man. His wife, daughters, sons, and grandchildren were his entire world; and he protected them fiercely. His wild sense of humor, unceasing charity, and the safety he instilled will be sorely missed by many. May we all look to the examples he set. Tom is survived by his wife: Trina Owen. His children: Candice Redshirt (Ryan), James Mihalka, Tiffanie Owen, Natalie Owen (Kyle Hanes), and Desiree Owen (Kyle Threadgill). His grandchildren: Christy, Cammie, Colby, Blake, Marley, and Amara. Siblings: Carmen Borden (William), Mary Osborn, Bobbie Delabarcena, and Lawrence Owen (Linda). His parents: Tom Owen and Alice Owen. A multitude of nieces, nephews, and cousins; as well as the many, many people he went out of his way to positively affect. He was preceded in death by Raymond Owen, Maudiebell Owen, and Larry Tracey. 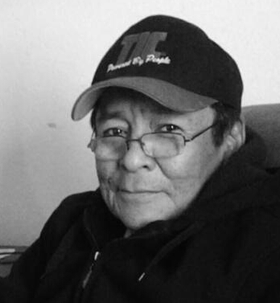 Tommy Milton Tsosie, 74, passed away May 31st,2017 in Salt Lake City, Utah. Born in Kaibito, Arizona on August 12th,1942 being the third eldest to Shank Tsosie and Sue Martin Tsosie. He received his diploma from Tuba City High School. Shortly after he served in the United States Navy for about 4 years and was stationed on the USS Wright. He was very active not only in his community but also with the city, state, tribe, country, and especially the Navajo Reservation. 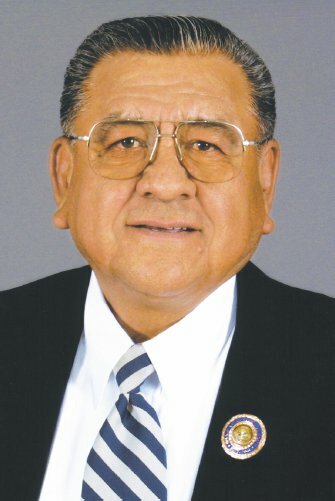 He retired from the Bureau of Indian Affairs after over 30 years of service. In addition, to proudly serving 2 terms on the Navajo Nation Tribal Council. He was also President of LeChee Chapter and had fulfilled numerous roles in LeChee Chapter. As well as participating in other committees in the community both on and off the reservation. Tommy was respectably described to be humble, compassionate, intelligent, generous and encouraging by his family. Many peers unanimously agreed. Always willing to lend a hand whether it be words of encouragement, his time or money from out of his own pocket. He was a loving and loyal family man. Many appreciated his point of view and the fact he would always listen patiently to others. Even if it was an opposing point of view. Indeed, a man of “the people”. Tommy loved the outdoors. He spent a great deal of time at the ranch feeding his cattle along with the wild birds. He always stressed the importance of an education, being loyal to your employer and having an optimistic outlook to many. He came from a very large family of 17 brothers and sisters. Tommy is survived by his wife of 49 years, Rose Anna Tsosie; His children: Sherlynda S. Tsosie-Walker, Hank N. Tsosie (Daughter in law, Cyndi (Beranek) Tsosie) and Aaron M. Tsosie; Eleven treasured grandchildren: Cameron, Talon, Carli, Thurman, Richard, Cora, Lena, Haylen, Ashley, Arianna and Nelson. He also proudly took on two nephews, Darrell and Brian Smith and a niece, Lisa Smith. He loved and nurtured them as his own. A memorial service will be held at Page Elks Lodge in Page, Arizona at 9 a.m., Saturday, June 10th, 2017. Tommy will be laid to rest at the Tsosie ranch in their family plot. Reception to follow. James Wallace Kitson, born July 6, 1943 – died March 28, 2016 of complications with leukemia, heart and diabetes. James was born in Clifton, CO to Norma Lillian and James Wallace Cotton and later adopted by Delbert Lee Kitson. He grew up in Palisade, CO where the family had a peach orchard. He learned a lot of mechanic work from a neighbor and enjoyed working on farm equipment. He joined the Air Force and was trained in computers. After the service he went into sales, selling some of the first ball point pens, and also Bernina sewing machines. He later worked for AT&T and was a flight instructor for United Airlines, setting up their flight simulator programs. During his life he owned several different business; a grocery store, sold snow mobiles, had a mechanic shop, ran a gravel pit, and eventually moved to Rifle, CO where he taught computers at Colorado Mountain Collage. About 35 years ago he and his wife Jo Lynn, visited Page, AZ over Thanksgiving and fell in love with it and within days of returning home, moved to Page. They later divorced but remained supportive friends until her death. He first worked for Del Webb and then for the Navajo Institute and opened Kitson Service Co. doing mostly computer repair and sales. He put in and serviced many of the computer and phone systems in Page businesses, including Lake Powell Medical Center, Tucker Automotive (NAPA) and Page Library. He expanded his business with Page Supply, supplying restaurant and janitorial supplies to Page businesses. In 1997 he married Judy Kitson. After retirement he continued helping friends with their computers and tractors and playing with the various farm and construction equipment he had acquired. He was a member of the Lake Powell R/C Modelers, serving at times as president and safety officer. Ten years ago with his friend Eugene Tucker, they began the Page Antique Tractor and Machine Club which puts on a Tractor Pull and Machine show each October. He was an active member of several tractor clubs and developed a website for the Ferguson Enthusiasts of North America. He is proceeded in death by his parents, two sons James and Walt, and a sister Carolyn Beldon. He is survived by his wife Judy Kitson, two sisters Joan Lundgren of Walnut Creek, CA, and Norma Miller of Washington, UT, a brother Walter Kitson of Boise, ID, a son, Delbert Kitson and a stepson Jon Blaine, of Van Nuys, CA. A true Renaissance man, those who knew him, found him to be a great resource of old and new knowledge which he enjoyed sharing with others. He will be missed by many. Mary Eloisa Montoya Kelly was born in Gallup, New Mexico, raised in Wheatland, Wyoming to Juan and Luisita Herrera Montoya. June 29th, 1947 she married the love of her life Pete G. Kelly Jr. She was a homemaker, a nurse, and a wonderful wife, mother, and grandmother. She peacefully joined her heavenly father with her children, grandchildren, and family at her side. 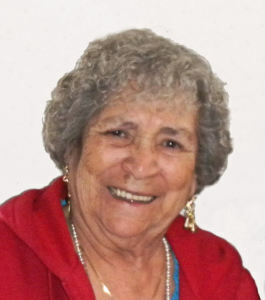 She was preceded in her passing by her parents, Juan and Luisita Montoya, her husband of 56 years, Pete G. Kelly, brothers Albert and John Montoya, sisters Phyllis Martinez, Viola Joyner, and Rosie Espinoza, and grandchildren Vandin Apodaca, Jamie, Taylor, and Janine Kelly. She is survived by brothers Louis, Tony, and Tomas Montoya and beloved sister Della Brazda, children Kathy Garcia, Vicki Kelly, Rita Dewitz, John Kelly (Emma), Tim Kelly (Irma), Dan Kelly (Amelia), Tina Slavens (Brett), and Joseph Kelly (Brenda) and beloved life-long sisters and friends Georgia Kelly, Ercilia Castro, and included as a daughter from her heart JoAnn Aragon, her beloved 39 grandchildren, 43 great grandchildren, 3 great great grandchildren, many cousins, nephews, and nieces. She was not only a mom, sister, aunt, and grandmother, she also cared and contributed to her charities for all children and the poor and believed deeply in her Catholic faith. She always had her home open to extended family and friends. She enjoyed reading, traveling, sewing, never forgot birthdays, sent cards to all who were close to her heart, loved listening to her music, and enjoyed going to casinos. Her life was the true meaning of home, family, and love. She was our rock, our glue. And above all was the great and almighty powerful nan to her grandchildren. She will truly be missed, by many, because she didn’t just belong to us, her children. Rest now, you are where you want to be and will always be in our hearts, thought, and prayers. There will be a Funeral service held on Saturday, February 27th, 2016 at 3:00 p.m. at the Immaculate Heart of Mary Catholic Church in Page, Arizona. Arrangements made with Mosdell Mortuary of Kanab, Utah. 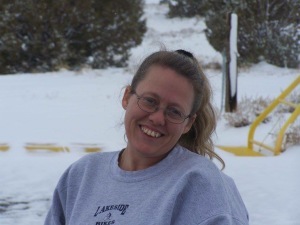 Marla Bea Pease, 49, of Page, Arizona passed away January 24 at Flagstaff Medical Center from meningitis. She was surrounded by her children, husband, loved ones and her partner, Robbie Carpenter, stayed by her side the entire time. Marla was an organ donor and her organs were used to save several lives. Marla was born September 9th 1966 in Oakland, California, the daughter of Murl Rhoads and Marjory Laughlin. She graduated high school in Payson, Arizona where she had many friends and family. In Payson, Arizona she met her husband, Ed Pease. Together they had three children and were married in Page in 2003. She worked at Circle K and Walmart for years. Marla loved her children, family and friends. She loved the outdoors, hiking, bowling, and watching the Cardinals every Sunday. To her children she was both a mother and a best friend. She always put her children first and was an inspirational example of what a mother should be. Marla had four children, but was really a mother to everyone. She was always there with the biggest smile, the craziest sense of humor, the best advice, or a hug and a shoulder to cry on. She left an impact on everyone who met her. She is survived by her children, Bonnie Pease, Danielle Pease, CJ Pease and Timothy La Tour; her beloved husband Ed Pease, her sisters Ladena Rhoads and Debra Caskey, and brother Dan Thompson; her nephews Daniel and Jacob Rhoads, and niece Kait Thompson, her parent in-laws Daniel and Bonnie Pease, plus many cousins, friends, and her Walmart team. She is preceded in death by her parents Murl Rhoads and Marjory Laughlin. A memorial for Marla will be held at Elk’s Lodge on Saturday, February 6th at 6:30 pm. Please come join us in celebrating the life of this beautiful woman. The family is accepting donations in lieu of flowers or gifts. 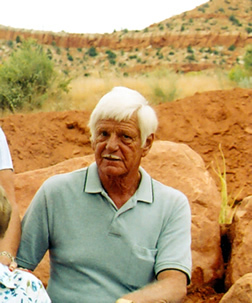 Eldon Roy Roundtree, age 84 of Page, Arizona passed away January 3, 2016. He was born September 9, 1932 in Ada Oklahoma to Andrew and Mattie Lee (Jackson)Roundtree. He grew up and attended school and college in Oklahoma. After his military service he moved to Arizona in 1955 where he met Betty Jo, the love of his life. He is survived by his wife and his children, Jerry and Debi Roundtree, Randy and Kim Roundtree, Bryan and Renee Roundtree, Dindy and Lisa Byrd 13 grandchildren and four great grandchildren, his sister Virginia Nicholas, two nieces and a nephew. 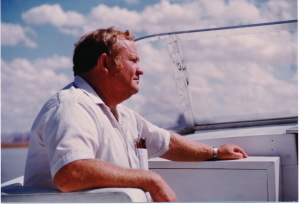 He loved Lake Powell and his family credited him with “building the dam”. Services will be held Saturday January 9th. Viewing will be 12:00 to 12:45 and service at 1:00 at the LDS Stake Center 1301North Navajo. In lei of flowers please donate to Page Cancer Outreach . Dianne Virginia Powers entered the eternal on October 12th, 2015. Dianne is survived by the families of Kimberli Beck Lee, Randy & Lori Savage, Colorado River Discovery, her “Boys of Summer”, her beloved pups Casey and Cissy, and the hundreds of souls that ever received a life changing “Dianne Hug” from her steadfast and warm arms. Dianne was born on September 23rd, 1953 in Los Angeles, CA to Samuel and Leona Nardone. She found and married her Rock, Phil Powers, in 1983 and began a partnership that should have been written about as one the great stories of our time. Dianne and Phil never had biological children; how could they. Their lives were spent nurturing, supporting, and assisting hundreds of people on the way to their true potential. Dianne’s methodology… She had the unique ability to instantly find a person’s budding importance. This impending greatness was often buried under a concealed wall of uncertainty, ignorance, and fear. She then made it her mission to bulldoze that wall, and find that light she knew was present, for the whole world to see. Her methods were always unique to the individual, but, all included a healthy mixture of strong hugs, intent listening, telling it like it is and chocolate. Dianne was always more open-handed than any person should be. She would do this by being incredibly approachable, giving of her own time, giving of her own money, and working a problem of another, until a viable solution was found. Dianne’s process would almost always make for a better individual in the long run. Dianne was the queen of the idiom. The lights are on, but, no one’s home. The road less travelled. There are plenty of fish in the sea. More than monkey’s love bananas. Not a day went by that one wasn’t being spoken. The same idiom would have different meanings based on the delivery from her tone, vigorous hand motions, and facial expressions. These words often made light of a serious message she was trying to get the recipient to understand. Dianne’s quick wit and charm also revealed some of the best nicknames of people in her life. Handles such as Sissy, Bug, Manute, LP, Sweet Knees, Mayo, Colt, Sox, Double Ott, Cope, Dr. Slim, and Rent a Husband, just to name a few. If you were given a nickname, it meant that you could count on Dianne to keep you in her thoughts on a regular basis, and that you would always be a part of her life. The handles above, were just a sliver of those delivered throughout the years of people that she welcomed into her life. Dianne’s life was filled with love that was 100% manifested by all of her intangible qualities. She will be missed by all who met her, and it is impossible that her spirit not continue through the many that she affected with her benevolence, charisma, and adoration. We love you more than monkey’s love bananas, Dianne! In lieu of flowers, please make donations to Page Animal Hospital Angel Fund or Page Animal Adoption Agency. March 31st 2015 the world lost two of the freest spirits we will ever know. Robert Shelton and his fiancé Kristan Millman were called home together with their dog Potata to live and love for all eternity. Robert was a loving caring person. His life is better measured in milestones rather than years. 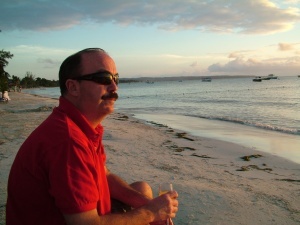 His love of travel allowed him to touch the hearts and souls of many lives. His eagerness to help even strangers brought him a diverse collection of friends and family. All of whom he loved and protected. Surviving him is his closest friend and mother Debbie Clark, His brothers Dylan Clark, Jorge Castro. Jorge’s fiancé Chelsea Scott, and their kids Trayton and Aleah; all of whom share his same spirit. He is also survived by his grandparents Bobby and Pat Javarauckas, His Aunt Tammy, His uncle Steve, many cousins, and his soon to be inlaws Joyce and Chris Barton of Payette Idaho whom he worked with and loved. Lastly Surviving him were are his truest smiles, Lyrica and Mykayla. They were his inspiration, his light and his stars. We will miss them all, and know in our hearts that they will forever walk together in love and light. Alongside his Sister Christine, and his father David they will all watch over and protect us eternally. Funeral services will be held in their honor at the Saint Davids Episcopal Church on May 7th at 10:00AM. Close friends and family will be invited for a celebration of life following the ceremony. March 10, 2015,at the age of 92, Lillian Rosalie Zufelt passed away at home surrounded by her daughters, Gloria Patterson, husband Glenn, and Jeroldene Helquist, husband John. Rosalie was born October 27, 1922. She will always be remembered as “Mrs. Page, Arizona” and for all the charitable things she did for her community and church. She was unselfish and thoughtful in all she did for others. If you ever made her acquaintance, she soon adopted you as a son or daughter. She is survived by her children, Robert Ray (Bob) Zufelt (Sandy), Gloria Jean Patterson (Glenn), Jack Zufelt (Marci) and Jeroldene Helquist (John), her half brother Leonard (Pat) Smith, adopted son, Judge Donald G. Roberts and numerous grandchildren, greats, and great greats. Funeral services will be at 12 Noon on Tuesday March 17th, 2015 at the LDS Stake Center at 1301 North Navajo Drive. 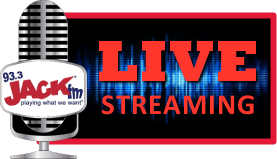 Viewing will begin at 10AM. Funeral procession to follow the Funeral services. Erik Anthony Vega was born in Colton, California, at Arrowhead Regional Medical Center on August 26th, 1999, to parents Erik and Antonia Vega. He lived in Fontana, California, until he was 4, when he moved to Big Water, Utah, where he attended elementary school. He began going to Page Middle School for his 7th grade year. He was a sophomore at Page High School at the time of his passing. Erik was a straight A student, active in many extracurricular activities. He played soccer, football, baseball, and wrestled. His favorite sport was baseball and his favorite team was the Los Angeles Dodgers. His favorite football team was the New England Patriots. Family was the most important thing to him. He was close with all of his family and valued keeping in touch with them. We will remember Erik as a selfless, fiercely loyal family member and friend who stood up for the underdog and was easy to get along with; for his quick wit, his love of Cup ‘O Noodles, and his great dance moves; who valued his education, but had favorite teachers, not just favorite subjects. He gave 110% in everything he did and lived by the motto, “I will not disappoint myself in anything I do”. His dedication and determination led him to strive for excellence. Erik was an inspiration to and loved by all he encountered. His goal was to make a difference in the world and leave a legacy in his wake. The overwhelming love and support shown from the community is proof that Erik has accomplished his goal. A celebration of Erik’s life will be held at the CAB on Saturday, February 21st, at 12:00 p.m. A balloon release and potluck will follow. Mary Lynn Elrod, 71, passed away January 29 at Good Samaritan Hospital after a long courageous battle with cancer. Her family was by her side. Mary is survived by her husband H.K. 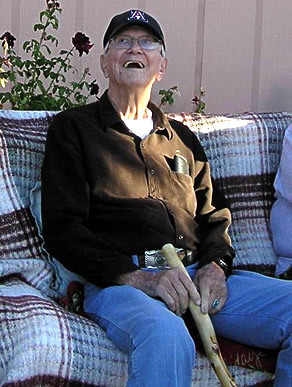 Elrod of Page, Arizona, with whom she shared a sweet love and an unbreakable bond. Hands down she was the best Mother and friend, the kind you went to when you needed help or advice. She was an outstanding Mother to her children Chris Moore of Key West, FL; Stacy Webb and husband Norm of Woolwich, New Jersey and their children Josh and Hannah Kaitlynn; Maggie Moore of Bend, OR; and step daughter Elizabeth Hudson and husband Daniel of Aberdeen, Scotland and their children Catherine and Charlotte. She is also survived by her younger sister Meg Moore of Mt Dora, FL. She was preceded in death by her parents William and Jean Meily, her younger brother William Meily and her first husband William B. Moore. Mary was born November 14, 1943 in Logansport, Indiana. She graduated from Southside High in Ft. Wayne in 1962. She moved to Columbus, Ohio in 1967 where she was very involved in the Junior League. Her involvement included the renovation of the historic Kelton House. 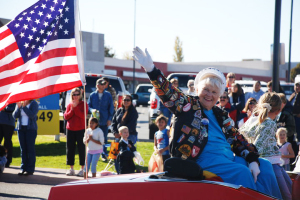 In 1980 she moved to Park City, Utah and was very involved in that community also. She owned Park City Paper Case, followed by being an agent at New York Life and The New England Life Insurance. In 1997, she and H.K. relocated to Page, Arizona where they founded Lake Powell Marine. Mary touched people everyday with her smile and generous heart. She found her passion in Arizona. She always had a big heart but now she was able to reach out and really help those in need. She fed the hungry! Mary often said, “There is a lot people can do without, but food is not one of them.” Mary was a lover of life who had seemingly inexhaustible energy for everything she came across. She loved deeply and wholly. She had great confidence and faith in her Lord and Savior, Jesus Christ. She has left many memories on so many hearts. Mary will be missed. Cleo Helene Deering, age 76, a longtime resident of Page, passed away on Sunday, November 16th, 2014, at Banner Hospice in Sun City West, Arizona, after a courageous battle with breast cancer. Cleo was born in Wheatland, Wyoming, on May 16th, 1938 to Everett and Edna Snakenburg. Cleo graduated in May, 1956, from Cheyenne High school in Wyoming and married Wayne Deering, on August 6th, 1956 in Guernsey, WY. Cleo and Wayne moved to Kanab, Utah in 1957 and then to Page in 1960. After raising her children, Cleo began her career as a cosmetologist in Flagstaff, Arizona in 1968, and then later worked for Boston’s True Value, ARAMARK and Walmart before retiring. She was an avid bowler, and enjoyed sewing and genealogy. She took joy in spending time with her grandchildren and great-grand- children. Cleo was preceded in death by her husband Wayne, daughter Carolene Wynn Smith, parents, and her sisters Doris Snakenburg and Sharon Cramer. A celebration of Life will be held at the Elks Lodge on Saturday, December 6th, 2014, at 11:30 am, with interment at the Page Cemetery. Tom was born in Madison WI on March 8, 1946. He attended school in Madison and grew up on the family dairy farm just outside of the city. He is fondly missed as our big brother by Berne Swanson (Seattle), Theresa Bray (Seattle), Larry Hoffman (Sun Prairie, WI), Steven Hoffman (Estes Park, CO), Mary Hoffman (Deforest, WI), Cathy Quigley (Mesa, AZ). Our parents Larry and Elizabeth Hoffman and oldest brother Gerry Hoffman passed in years past. Tom is also survived by many nephews and nieces and grand nephews and nieces. Tom was a veteran of the Vietnam War and completed a BS degree in Police Science at Northern Arizona State in Flagstaff. After several years he also completed an AS degree in Aircraft Mechanical Science in Douglas AZ. He was a licensed pilot for many years and also enjoyed ultra lite flying. He worked at the airport as an aircraft mechanic since the early 1980’s. Tom enjoyed figuring out how things were put together and worked. He built his own home with recycled materials many years before that was popular and continued to dabble in projects of all sorts. He was an avid and grateful naturalist, hiked the desert and mountains often. Tom was our adventurous brother and friend who always had the time and energy and resources to assist each of us with projects, provided guidance during traumas, and had a unique perspective we all could appreciate as siblings in a large family. He was a rock for us and will be missed dearly by his family and his many friends. Funeral services for Ronnie Max Dallas of LeChee Arizona will be held Wednesday, July 16, 2014 at 11:00 am in the Page LDS Stake Center in Page, Arizona. Burial will follow at Page Cemetery. Ron was born on November 11, 1960 at Phoenix, Arizona, born into the Kínłli’chíí’ní clan and for the Coyote clan of the Hopi tribe. He passed peacefully surrounded by family on Friday, July 11, 2014 at the Dixie Regional Hospital at St. George, Utah. Ron attended elementary at Kayenta. His family then moved to Kaibeto, AZ where he continued his education at Page Middle School and Page High School. He then attended college at ASU and NAU. Ron worked at SRP for 16 1/2 years as a power plant operator. He also worked at Wal-Mart for 6 years, as a manger at the Money Center. He had many friends. He enjoyed making Kachina Dolls, hiking, and spending time with his family. Ron is survived by his wife Deborah Sue Dallas, son Dylan, daughters Jonett Spring, Cassidy Tyler, grandson Colin all of Page, Az; brother Laurence Dallas of Tuba City, and sister Lori Foxx of Queen Creek, AZ, and mother Betty Dallas of Tuba City. Ron is preceded in death by his father Lemuel Dallas, and daughter Mariah Hope Dallas. Donations can be given to the family or deposited into Coconino Federal Credit Union in the name of Debbie Dallas. Services were arranged with Mosdell Mortuary of Kanab. Michael Everette Hill, 58, died peacefully in his home of Big Water, UT at 11:50pm on Father’s Day. He was surrounded by his wife, children, and grandchildren. He was born July 20, 1955 at Corona U.S. Navy Hospital, California, to Loren and Grace Hill of Nephi Utah. Michael was raised in California the majority of his life and graduated from Canyon Country High School. He later joined the LDS church. He found his eternal companion while residing in lake Los Angeles, California. He married Sheri Kay (Hart) August 9, 1997 and they were sealed for time and all eternity October 18, 1997 in the Los Angeles LDS Temple. Michael loved more than anything to spend time with his family. Whether it was car shows (for his love of fast muscle cars), to attending faires to relive the days of Renaissance. He also enjoyed holding BBQs at his home in Big Water. He loved the area in which he loved (Lake Powell surrounding area) but most of all he loved to serve his fellow man. Everyone who met Michael was touched by his friendly disposition and kindness. We knew him as a great man, dedicated father, loving brother, and loyal son. He left a legacy of love, and will be missed greatly. 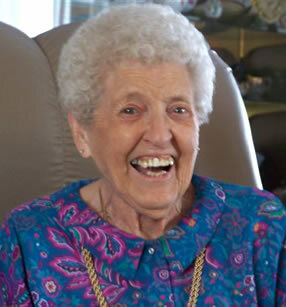 Delilah Maxwell Schein, 97 years young, passed away on April 3, 2014 in St. George, Utah. Dell lived a good fulfilling life and will be missed by all who knew her. Born April 11, 1916 in southeastern Arizona where she lived most of her life, she raised three sons. She is survived by one son Gary (Norma) Lund of Page, Arizona; two daughters-in-law Diane (Jack-deceased) Lund of Oregon and Nancy (Gene-deceased) Lund of Las Vegas; step-daughter Mindy (Robert) Diaz of Texas; four grandchildren and ten great-grandchildren. After her marriage to Murry Schein, she moved from Arizona to Texas where she lived for thirty years before moving to Page, Arizona. In her earlier years Dell was a nurse, however while in Texas she received her teaching degrees and began teaching at Tarrant County Junior College. She taught psychology among other subjects, and was instrumental in getting senior education classes taught at that college. She also received a citation from President Lyndon B. Johnson for her teaching prowess. Dell loved teaching, gardening, and working in her church. She held many different positions in the Church of Jesus Christ of Latter-day Saints, including as a temple worker in the Dallas Texas Temple. She also enjoyed playing the guitar and organ. Services were held Saturday, April 12, 2014 at the Page Arizona LDS 5th Ward Church on Lake Powell Boulevard at 4:00 PM, with burial on Monday, April 14, 2014 at 2:00 PM in Nutrioso Arizona Pioneer Cemetery. Services were arranged with Mosdell Mortuary of Kanab. On 3-22-14 Phil was led by angels to heaven from a peaceful sleep in Prescott, AZ. He was born and raised in Southern California and was a true product of his generation. In 1968 he was drafted and went into the US Army with basic training in Oklahoma and eventually stationed in Fairbanks, AK in a artillery unit. After his discharge he returned to California and followed in his fathers footsteps and learned the construction industry from him. His expertise was from foundation to finish work and throughout his life held positions of foreman and project coordinator. Working with his hands and “building and fabricating stuff” was his passion. In 1978 he met Dianne and their journey began. They were married in July 1983. After a few more years in California, they relocated to Prescott, Az in 1989 where he worked for Randy Savage Construction. But Phil loved Lake Powell and he and Dianne would make the trip up often to go on the lake. So In 1994, Page became home for the Powers family. In 1995, Phil started Waterworks Boat Services as a one man show and serviced boats and did small interior remodeling and upgrade projects on houseboats. As his business grew he had to hire help, so he and his 6 “sons” went out and made history. His greatest pleasure was mentoring his boys and giving them the chance to express their ideas, right or wrong, and allowing them to learn. No day was perfect, but everyday counted. They were not employees to him. They were his family. After 5 years, and as they do, his crew went off to explore a bigger world than Page, so Phil traded his owner hat for an employee hat. He continued to work on Lake Powell for 7 more years until he suffered a career ending injury and additional health challenges in 2011 . His recovery was a ongoing battle with numerous setbacks. His biggest hobbies included puttering around in his shop and anything with tires on it. He loved his sand rail and Razor and his happiest moments were spent with our dear friends Randy and Lori and other close friends at the sand dunes in Yuma. He also enjoyed “circling the wagons ” as he called it and just visiting with other members of the boating businesses in Page. He was a helper to all if needed, but may have appeared gruff to others. His only focus was to be available if anyone needed anything and he truly enjoyed all the people of Page he encountered. You could find him many times just visiting with other work crews at his storage facility to feel he was still part of the deal. His daily visit to the Ranch House Grille for breakfast with “his girlfriends” was a treat for him. He spent hours at Boston’s just talking to the crew. His life was complete by his 2 beloved Golden Retrievers Casey & Cissy and they kept him company throughout his recovery. In 2012, he and his wife did the dream vacation , traveling to North Carolina and visiting every Nascar shop. Sundays were for Nascar , Dale Jr. and nothing else. Phil is survived by his wife of 30 years Dianne, his mother Ida, sister Jeannie, son Jason and numerous and beloved friends. His wish to everyone would be to live every minute like it is your last and be honest with everyone, even if it may not be what needs to be heard. A celebration of Phil’s life will take place in Page, Az on a date to be determined shortly. 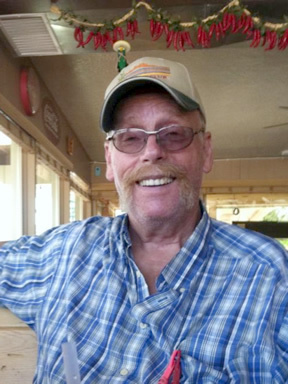 Kenneth Bert Leach, 71, of Page, Arizona passed away Monday, March 10, 20l4 in St. George Utah surrounded by loved ones and friends. Ken was born in Kanab Utah on December 18, 1942 to loving parents Trevor and Ila Leach. 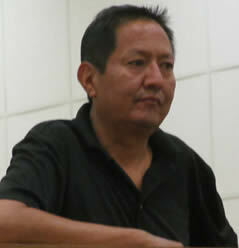 Ken attended Kanab schools until age 14. He was more interested in working than going to school. He started to work with catering and the movies for Whit Parry at Parry’s Lodge in Kanab. He learned from the best working with many outstanding people. From there he moved to Phoenix, Arizona where he worked as 3rd under Governor Rose Moffet installing and setting up computers for the education systems of Arizona. After that he worked in different businesses. In November of 1974 he moved to Page, Arizona. Ken was a great businessman and entrepreneur. He is best known for Ken’s Old West and The Glen Canyon Stake House and Cove in Page. He always provided a warm welcome to all who entered his door. Good food, western music and a friendly family atmosphere for all was his trademark. In Fredonia, near the Arizona border he owned the Buckskin Tavern. Funeral services for Alfonso Mannie, 56, will be held Friday, March 7, 2014, at 11am at the Page LDS Stake Center with burial at the Page, Arizona Cemetery. Alfonso was born June 29, 1957 to Marie M. Yazzie and the late Francis F. Mannie in Ganado AZ into the Maii deeshgiizhnii (Coyote Pass)clan, born for the Tabaaha (Edge Water) clan. He died peacefully March 1, 2014 at the Ryan House Hospice in Phoenix, AZ. Alfonso’s elementary years were spent in Roosevelt, UT. He graduated from Provo High School in Provo, UT, while enrolled in the Placement LDS Program. Alfonso worked at Tuba City Regional Health Care Corp. and SRP/Navajo Generating Station in Page, AZ, as a Maintenance Supervisor. 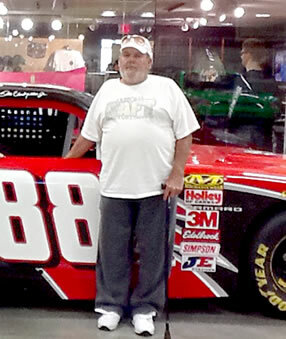 Alfonso was an avid NASCAR, Phoenix Sun and Arizona Cardinals fan. He loved car races, monster trucks and guns. His hobbies included bike riding, boating, hiking and traveling. Alfonso is survived by his wife, Annie (Curley) Mannie, daughter, Alvira (Var) Mannie [Avondale], stepsons: Leslie & Joshua Jackson, stepdaughter, Jamie Barlow, all of Phx., AZ. His mother, Marie M. Yazzie, brother, Victor Mannie, sisters: Victoria Klain, Colleen Mannie all of Page AZ., brother Andrew Mannie [Denver, CO], 9 grand children.Alfonso is preceded in death by his father Francis F. Mannie, sister Thelma Mannie, brothers Franklin Mannie, Steven Mannie and son Orlando Mannie. Pall bearers are; Victor Mannie, Andrew Mannie, Bryan Tsosie, David Mannie, Xavier Lewis, Lemuel Spean, Rymond Curley, Cedric Barlow. A reception will take place at Page, AZ, LDS Stake Center,1301 North Navajo Drive. Norvel Owen Mortuary of Flagstaff, AZ. is handling the arrangements. Virginia Lee Walker, age 92, passed away peacefully in her home in Page, Arizona on February 2, 2014 with her family by her side. She was born Dcember 13, 1921 in Ft. Lyons, Colorado to Ada Eleanore Donnell and George Hugh McKinney. She married Riley Lorenzo Walker on Sept. 30, 1938 in Red Mesa, Colorado. They were later sealed in the SLC Temple. He died January 4, 2001. 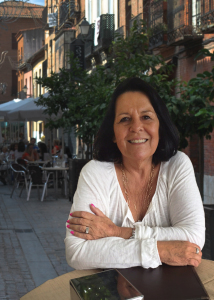 Virginia was raised and attended school in Pueblo, Colorado and Red Mesa, Colorado. After her marriage, she and Riley lived in Red Mesa, Colorado; Farmington, New Mexico; Blanding, Utah; Flagstaff, Arizona; Salt Lake City, Utah, Cheyenne, Wyoming; and finally retired to Page, Arizona in 1984. Mom was very talented with her hands. She was a wonderful seamstress, and enjoyed painting, tying quilts, crocheting, crafts of all kinds, ceramics and making dolls. She would spend hours on her work, and loved giving it way to grandchildren and other family and friends. She worked for a time outside the home as a hairdresser. As an active member of the LDS Church, she had a strong testimony. She was a dedicated Visiting Teacher her whole married life, and had also served as a Young Women’s teacher, Primary teacher, homemaking teacher, and secretary and counselor in the Relief Society. She was a great example of the loving kindness expected of us all by the Savior, and wanted everyone in the family to have a testimony of the gospel plan. Mom was a very kind, sweet person. She never judged anyone in her extended family, keeping in contact with everyone through cards, gifts and phone calls. She made sure all of her grandchildren knew she loved them and loved being around them when they visited. She will be greatly missed by all who had the chance to know her. We love you so very much, Mom. Survivors include children Judy (Dean) Slavens of Page, Dixie Lee (Dave) Hendon of Texas, Riley Walker of Phoenix, Marsha Rich of Phoenix, and Cindee (Ron) Glover of Kanab, Utah; twenty-one grandchildren, sixty great-grandchildren and numerous great-great grandchildren. She was preceded in death by her husband Riley, son Clell, her two half-siblings, and four grandchildren. Funeral services will be held Wednesday, February 5, 2014 at 11:00 AM in the Page LDS Stake Center on North Navajo. A viewing will be held Wednesday morning from 10:00-10:45 AM at the Stake Center. Burial will be in the Blanding Utah Cemetery on Thursday, February 6, 2014 at 11:00 AM. Arrangements were made with Mosdell Mortuary of Kanab, Utah. Neil Kenneth Sanders Jr. was born on June 23, 1953 in Grangeville, Idaho. After a short battle with cancer he passed away peacefully while visiting his mother in Page on Monday morning. He is survived by his mother, Wilma Joan Yakopatz, his two children, Kevin John Sanders and Sarah Jane Lofing, Son-in-law Amos Milo Lofing, their two children Iris Diane and John Milo, and his sisters Kathy Ann Hummel, Carrie Sheena Tisland, and Rose Moon Letchworth. Neal Sanders spent many years working as a welder/mechanic for power generating stations around the western US. In his younger years he raced his mud bogger “Bad to the Bone” semi-professionally. He was an amazing artist and loved painting scenes of our beautiful area and making knives. He loved four wheeling, roasting hotdogs over an open fire, “hunting arrowheads” in his younger days, playing games, eating, going to yard sales, and spending time with his family. Dad loved a good laugh and good music. He will be greatly missed. Services will be held Sunday at Cliffview Baptist Church, 217 East 300 South, Kanab at 10:00 AM. In lieu of flowers please send memorial contributions to PO Box 2237, Page, AZ 86040 or Mosdell Mortuary in Kanab. Michael J. Herbel unexpectedly passed on November 20th, 2013 at the Page Hospital. Born June 19, 1952 in San Francisco, California and raised in Flagstaff, Arizona he is survived by his son James, wife Tammi, three brothers, Pat Herbel, Tom (Doris) Herbel, Rick (Brenda) Herbel; three sisters, Donna (John) Looker, MaryAnn (Joe) Roland, Karen Poteet, and 13 nieces and nephews. He was preceded in death by his mother Mary, father Emanuel, and wife of 23 years, Vernita. Joining the Army right out of high school, Mike served 7 years as an ammunition specialist. After the Army, Mike did everything from welding in Wyoming mines to drilling wells to diesel mechanic for several companies. Working for the National Park Service at Glen Canyon NRA for the last 26 years in utilities system maintenance, he retired this last August. Mike was happiest when he was able to help others and volunteered his time often. He was fun-spirited and always had a smile. 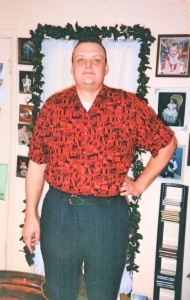 Those that knew him well were aware that Mike didn’t have a conventional bone in his body and you never knew what he might wear, make, say, or do at any time. Albert Leslie Vogel Jr. peacefully passed away at 8:45 pm at home on November 9th, 2013 at the age of 83. His life partner Sherry Tidwell and family were at his bedside along with his beautiful friend Rose Donalson. Al was preceded in death by his mother Florice Hicks, father Albert Leslie Vogel, step mom Margret Elizabeth Stevenson and younger sister Margret Ann Vogel. He is survived by his sisters Edna Dodey, Lesley Miller, Dorothy Vogel and brother Steve Vogel and his children Christopher Vogel, Sara Vogel Barney and Sharon Cantwell. Al honorably served his country when he joined the United States Navy as an aviation electronics technician 3rd class, based out of San Diego California in 1950-1954. Al appeared to be a rough, tough hard man, but those who knew him best knew he was a wonderful, giving, and caring man. He loved the Page/Lake Powell area and always had a friendly word for everyone around him. His family and many many friends will deeply miss him and send him on his way with much love. May his life once again be filled with love, joy and laughter. His kindness and wonderful smile will be missed. Eva Craig lived her life helping others live. 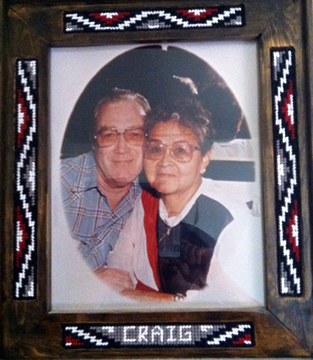 Eva Mae Craig, 79, peacefully passed away on October 3, 2013 in Page, AZ. 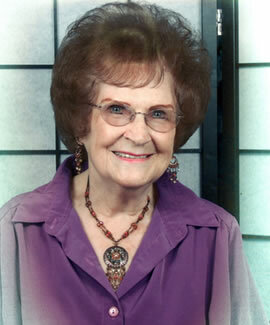 Eva Craig’s Memorial Service will be held at the Page ELKS Lodge # 2498 at 806 Aqua in Page, AZ at 2:00 p.m.(MST.) on Saturday October 19th. The event will be a potluck. Donations will be accepted at the Arizona National Bank in Page, AZ. Eva was born in Shiprock, NM, Navajo Nation, USA in 1933. She grew up there and went to St. Michaels Boarding School in Window Rock, AZ, Navajo Nation. She continued her schooling as a Nurse, where she met her future husband, Evans “Pete” Craig, while he was in the Army. Later while he was in the Air Force, she married him in Shiprock & was with him while he served our country in the Korean War. During this time, she worked as a Nurse at night & raised her 5 children during the day. She was married to him for 56 years! Eva eventually returned to the Navajo Nation as a Head Nurse at the Farmington Hospital, Shiprock Hospital, and Kayenta Clinic, as well as running the Inscription House Clinic for 25+ years at PHS, (Public Health Service). During this time, Eva moved to Page, AZ 28 years ago & quickly became a pillar of the community, supporting her husband, Pete Craig at the (old) Page Country Club & the Page ELKS Lodge. Eva was a devote Catholic throughout her life & attended the Immaculate Heart of Mary Church of Page, AZ every week. Eva loved her family& was survived by her 4 daughters & son; Eva Jennifer Craig, Evans H, Craig, Jr., Evangeline Mary Craig, Ellen Ann Craig and Elaine M (Craig) Sterner. She also loved her Chihuahua’s & was survived by Pedro & Romeo. Eva will be missed by the Navajo Nation & especially by the whole Page Community. Frances Elizabeth Cline, born Oct. 31, 1917, passed away peacefully with her son by her side on July 31. Fran moved to Page six years ago to live near her family. New to this community, she tried out a few churches and found St. David’s Episcopal Church to be the perfect fit. She loved her church and made many good friends there and in the wider community. The wife of an Air Force officer, Frances lived in many places. Her social grace, great good humor, and Irish tenacity made her a natural at adjusting and making new friends. Her compassion led her to support several charities as well as to bake, sew, gather and sell at hundreds of charity bazaars in her life. The needs of children and animals were especially dear to her.Fran Cline was known for her grace, humor and compassion. She leaves behind her son, Phillip Cline, and daughter-in-more-than-law, Maryjane Cline, grandson, Leland (Xiomara), granddaughter, Celeste (Taylor), and three great grandchildren, Brian, Audrey, and Quentin. She will be missed and remembered. Services will be held at St. David’s Episcopal Church on Sept. 19 at 5 p.m. There will be a Memorial Service for Cris Gunst at 3 pm Friday, September 6, 2013, at the Lake Powell Church of the Nazarene. In Lieu of flowers, donations may be made to the Lake Powell Church of the Nazarene. Musician Cecil Mark Byrd, 57, of Page, passed away on July 24. He is survived by his daughters Cecilia Ann Ellis of Page, and Marcie Mae Kelley of Imperial, Neb., as well as his grandchildren, Skyla and Zita Ellis of Page, Jonathan Spencer and Zoey Kelley of Imperial. His mother, Gladys Byrd, was also a singer who performed country and western music at the Wahweap Marina Rainbow Room restaurant and other venues in Page. To place an obituary, please send an email with your written text and photo to haley@kxaz.com.